Post types - Select post types. If none is selected WordPress default post type is used. Query metrics - Select number of posts and set their order. Items -1 = all. Specific categories - Show posts from specific categories. Specific tags - Show posts containing specific tags. Specific author - Show posts by specific authors. Specific posts - Show specific posts. Exclude posts - Exclude specific posts. Container box style - Adjust .thz-posts-holder box style. Layout mode - Select posts layout mode. Choose from grid, slider or timeline layout mode. If grid is selected the Filter tab becomes active which will help you adjust the posts sorting filter layout and style. Pagination type - Select posts pagination type. Animate posts - Add animation to the post HTML container. Post Image size - Select the image size to be used in posts. Post image grayscale - Add grayscale effect to media images. Posts slider layout - Adjust posts media slider layout. Posts slider animation - Adjust posts slider.  These tabs contain options that will help you control and style every post element and containers including the various hover and image effects. Every setting has detailed description and or helpful instructions to help you adjust the post items the way you need them.